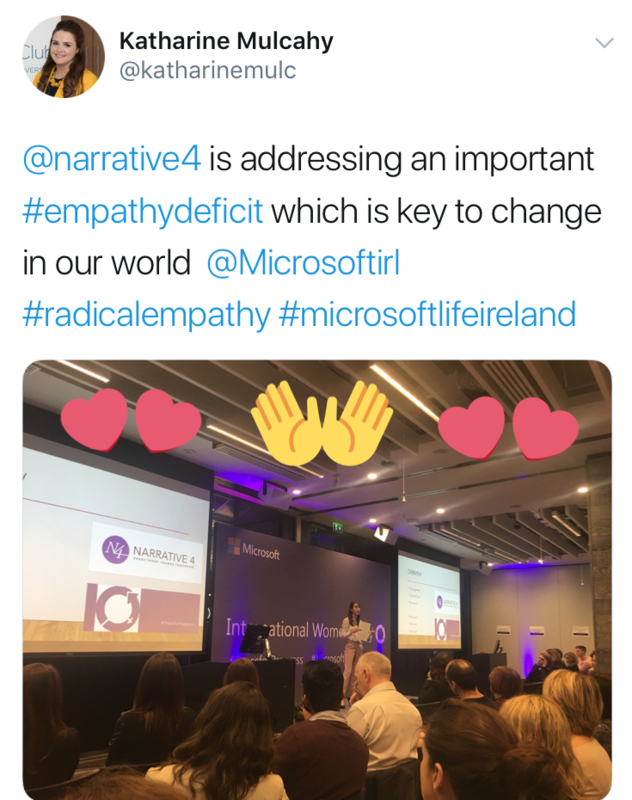 Microsoft Ireland’s International Women’s Day event. Stories inform, shape and illustrate our lives. So who better than our very own master storytellers to guide us towards a new era of increased empathy? 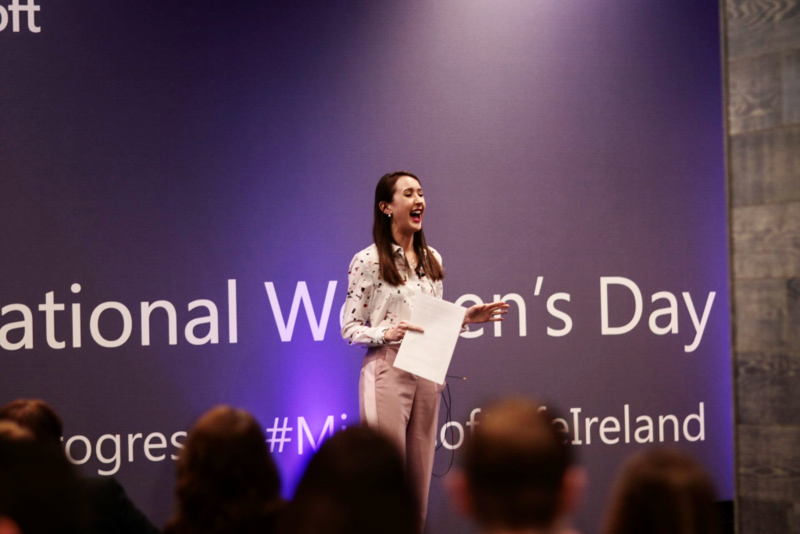 Recently, Ruth Gilligan, an Irish born, UK-based author and N4 Master Practitioner nominee, commanded the stage at Microsoft Ireland’s International Women’s Day event. Check out the coverage on Twitter and please retweet the story! For the past several years, N4 founding member and award-winning author, Ron Rash has paved the way for a narrative for North Carolina and Appalachia. His writing is infused with a deep love of the land and his passion for the region has fueled our work with a key partner, Swain County High School. Ron will be on hand to help us host a second field exchange (the first was last October in New York City) from April 23-29 in North Carolina. Ten students from Ethical Culture Fieldston School (Bronx, NY) will travel to Swain County to reconnect with their peers and participate in a week of immersive experiences designed to break down barriers and shatter stereotypes. Ron will take the stage with a powerhouse group of writers and musicians from Appalachia on Thursday, April 26th. Stay tuned for the full agenda and event details! 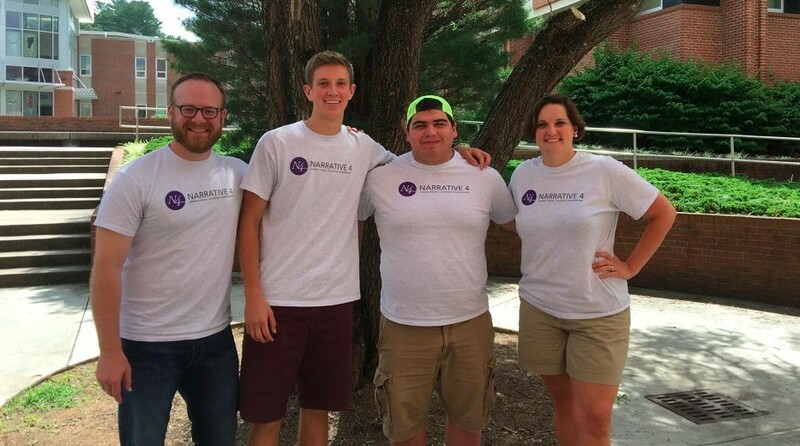 Swain County High School teachers and students gear up for this month’s field exchange in Western North Carolina. St. Patrick’s Day “literary DJ” Colum McCann spins Irish stories with a little help from his friends at Swifts Hibernian Lounge in New York City. The day after St. Patrick’s Day in the U.S. can be a bit of a struggle for some, but not N4 co-founder and award-winning author, Colum McCann! 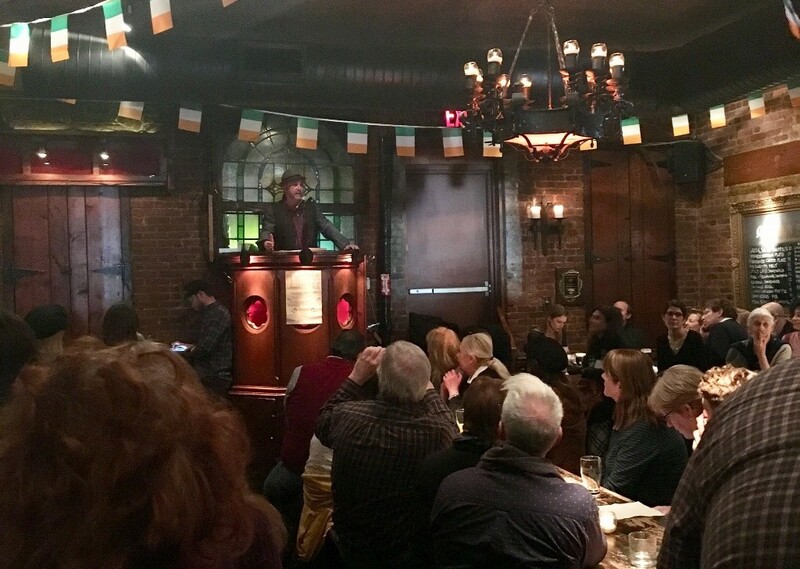 For years, Colum has hosted a “hair of the dog” cure to St. Patrick’s Day that all literary enthusiasts and Irish aficionados can embrace. Guests are encouraged to take the stage and recite poems (think: The Second Coming courtesy of Kelsey Roberts), sing Irish songs (think: Molly Malone courtesy of Leah Siegel), or read excerpts from favorite books (think: Angela’s Ashes courtesy of Colum himself). Make sure to mark your calendar and join us next year for the ultimate literary cure! In the meantime, you can listen to Colum talk about the democracy of storytelling. 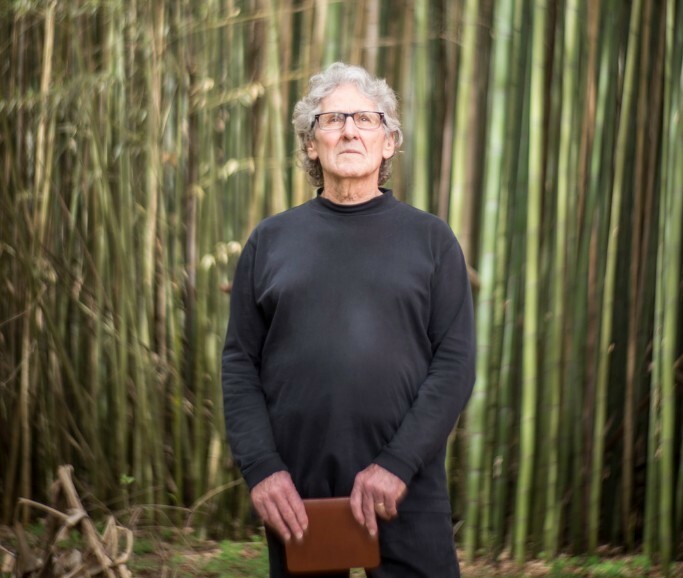 Darrell Bourque in his backyard in St. Landry Parish, Louisiana. We are delighted to announce that our 7th annual global summit will be held from June 20th – 25th in the great state of Louisiana! Spearheaded in many ways by N4 founding member and former Poet Laureate of Louisiana, Darrell Bourque, summit participants will experience a wide range of stories from remarkable artists, politicians, business leaders, activists and culture-shapers – all urgently trying to make the world a better place. Together, by the brackish waters of the Mississippi Delta, we will explore some of the great themes of our age: faith, identity, immigration, violence and the environment. We’ll keep you updated regularly and look forward to sharing our agenda, ideas and action items with you! 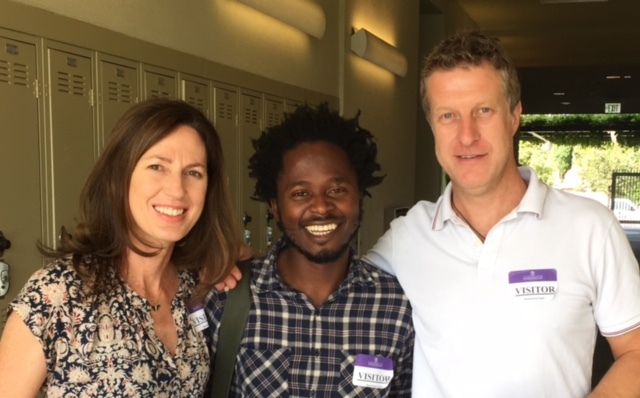 Ishmael Beah with Lee Keylock and Master Practitioner nominee, Karen Hollins. Ishmael Beah, a founding member of Narrative 4 and the author of the internationally bestselling memoir, A Long Way Gone is negotiating N4’s move to Nigeria and looking to help rollout our programs across the entire continent of Africa. Ishmael knows the power of stories and Narrative 4’s methodology very well, as evidenced by his powerful words, captured here.